The first thing you notice on a map of Yorkshire and all its constituent elements is its sheer size – North Yorkshire alone is larger than any English county. So no wonder it boasts more golf clubs than any other, from the moorland courses of the Dales, to some great heathland and parkland tracks, then across to the links and cliff-top offerings on the coast. Faced with such a wealth of courses, one inevitably has to narrow things down a little when it comes to golf in Yorkshire, so here we visit some of the county’s best courses including three that have hosted the Ryder Cup. The first ever European Ryder Cup venue, Moortown, is a historic piece of golfing property that should be on all golfer’s must-play lists. It was designed by the famous Dr Alister MacKenzie who also designed Alwoodley Golf Club which is literally around the corner. After a gentle opening par-5, the 2nd is a real brute, but it’s the clever short par-4 5th that stands out early on. You can’t see much off the tee and its green is supremely well-bunkered, as is the signature par-3 10th named ‘Gibraltar’. From the 11th to 14th, the four memorable holes run up and down alongside each other on a plateau as you head towards the finishing stretch. Moortown finishes with a pretty par-3 17th hole then a stirring finale to a large, well-protected green in front of the clubhouse. This heathland course a stone’s throw from neighbouring Moortown is where Dr Alister MacKenzie’s second career as a golf course designer begun. MacKenzie was a founder of the club in 1907, and it was here he would first get to paint his fairways and greens into the natural landscape. Alwoodley is the second-highest Yorkshire course in our top 100 rankings, behind Ganton, and is up there with the country’s best heathland venues. It’s a supreme test of golf where only your best game will equal a below handicap score. The beautiful, short par-3 5th is a standout as is the longer par-3 9th before the par-5 10th which is where MacKenzie got the inspiration for Augusta’s 13th hole. The closing stretch works you hard with four par-4s in a row all of which are over 4oo yards off the whites. 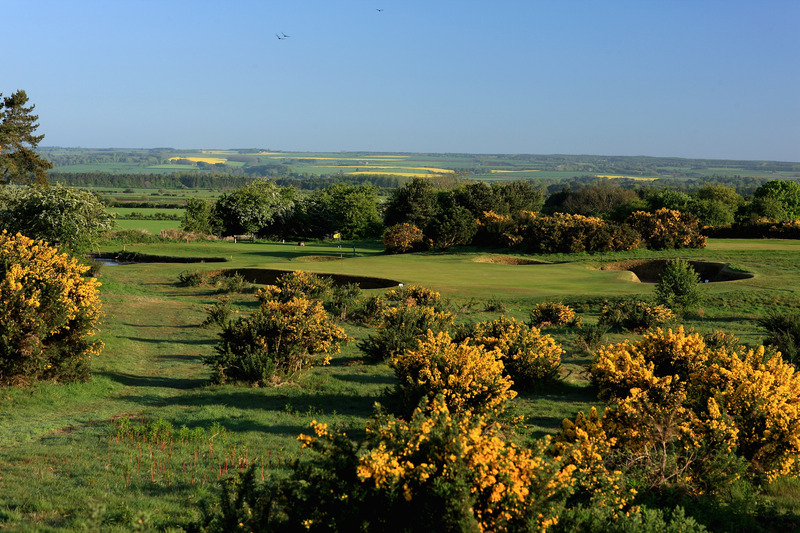 The brilliant Ganton in the Vale of Pickering achieved Ryder Cup glory in 1949, 20 years after Moortown. Everything about the club oozes old-school class from the white chain-link fence flanking the drive, to a clubhouse where even the toilet doors have proper keys! The course is an absolute gem too with an embarrassment of riches. The 6th, with shades of Gleneagles, stands out, as does the pretty par-3 10th, whose inherently fair green is heavily bunkered, yet slightly concave to gather balls in. Sir Michael Bonallack, regarded as Britain’s greatest ever amateur, said of Ganton, “The journey from tee to green on every hole is one of the most enjoyable golfing examinations that a player is ever likely to experience”. It is essentially an inland links presenting a near-faultless test of golf, and is well worthy of its position at 25th in our current UK&I Top 100. North Cliff is not as relentlessly exposed to the elements as you might expect, for only five holes play on the sea side of the main A165, and they’re pretty open and forgiving. Across the road after the 2nd, the course comes alive via a great mix of parkland holes. The 6th and 7th flank the long-disused Scarborough to Whitby railway, the former a sweeping par 4 playing down, round and up, the latter a par-3 with a treacherously sloping green. The A165 also bisects South Cliff, with road improvements forcing layout changes a few years ago. There are seven sea-side holes here, accessed via a substantial bridge after the par-3 3rd. The immediate task then is a tempting short par 4 played directly towards the sea, but the majestic cliff-top par 5 that follows really shines. We were amazed when told that there used to be two more holes wedged between here and the cliff edge – the old 9th and 10th – which we’re guessing weren’t for vertigo sufferers. 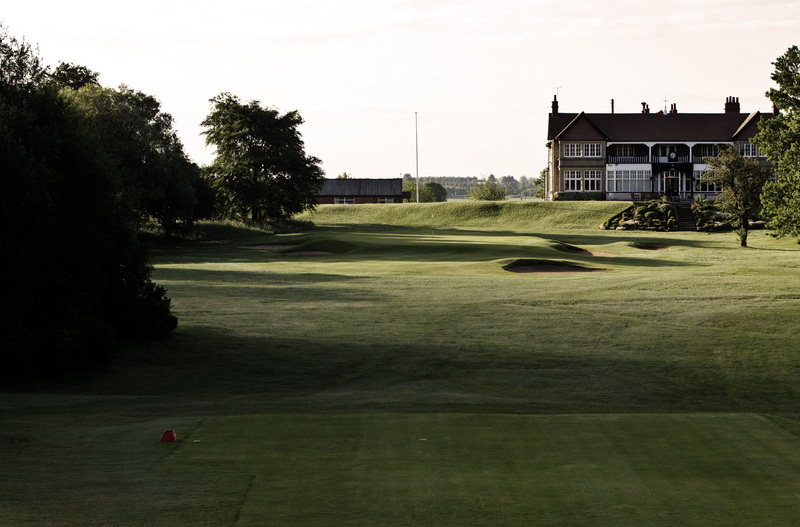 Lindrick is another of Yorkshire’s former Ryder Cup venues and was the scene of Europe’s famous 1957 victory where Dai Rees’ side beat the Americans for the first time in 24 years. The course was originally designed by Old Tom Morris but the likes of Tom Dunn, Willie Park and Alister MacKenzie have all had their input through the years. The 5th tee, set on an island in the river by a mini-gorge, has a story to tell, with its land-owner withholding access in the 1957 Ryder cup forcing play from a forward tee on Lindrick property. The 12th, which had to be relocated further from the busy A57 that intersects the course, was one of our favourite holes, doglegging early to the left, then down to a steeply sloping green. For those of a certain vintage, there are not many golf shots that linger in the memory more vividly than Bernhard Langer’s approach to the 17th green in the 1981 B&H International. The German’s 9-iron had finished 15’ up an ash tree from where he miraculously chipped onto the green, just missing his putt for par before finishing a shot behind the eventual winner, Tom Weiskopf. This attractive heathland/parkland mix was home to no fewer than 23 European Tour events as well as the inaugural Women’s British Open in 1976. It was designed by the lesser-know MacKenzie brother, Major Charles. Founded in 1892, this is the oldest club in Leeds, and the course boasts the very strongest pedigree with major input from Alister MacKenzie and Harry Colt. It opens with an absolute cracker; a good drive leaving a pitch to a beautifully framed green protected by Adel beck. On many courses this would be the feature hole; here it is one of several. There is plenty of interest at holes such as 3, 4 and 7 before you reach the next real gem, the tough par-4 9th, which has a ditch some way in front and an Augusta-like backdrop of azaleas. The back nine starts with another – a perfectly formed par-3 back over the valley to a well-protected green. It is one of a trio of classic short holes on the way home, the others being 13, a kind of Postage Stamp played up to a green seemingly cordoned off by deep pot bunkers, and 17, a glorious one-shotter played along the side of a slope to a perfectly sited green. If you seek variety, scenery, challenge and conditioning, Headingley has the lot. This fascinating parkland/moorland hybrid starts with an inviting and good-looking short par-4. The first par-3, the 4th, is a very distinctive hole played from an elevated tee over an old quarry alongside mature trees. 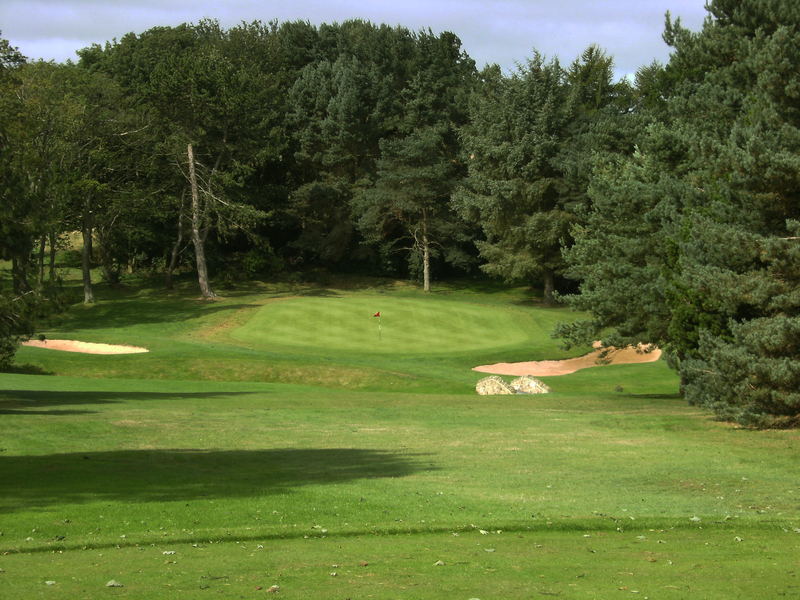 The 7th is another photogenic short hole and the next two take you through more glorious woodland onto the moor. Here, there are a handful of testing heathery holes, the pick of the bunch being the dogleg-left 11th. The course finishes with an idiosyncratic par-3 played from a high tee, down over a bridleway to a narrow green beside the welcoming clubhouse. Any preconceptions that suburban courses are noisy and surrounded by concrete can be firmly dispelled by a visit to this superb club just over a mile from the town centre. Choosing standout holes is difficult with the front nine consistently appealing all the way, bookended by two belting par-4s. On the way home, the sweeping par-4 12th is one of a kind and very tough, while the par-3 13th over a wide, jungle-gorge to a small green is another wonderful do-or-die hole. Also known as Fixby Hall, Huddersfield deserves to be far better-known, full stop.